What if A Controller Meets your Eonon Android Car GPS? Hi guys, maybe you are a game madman, which game is your favorite? 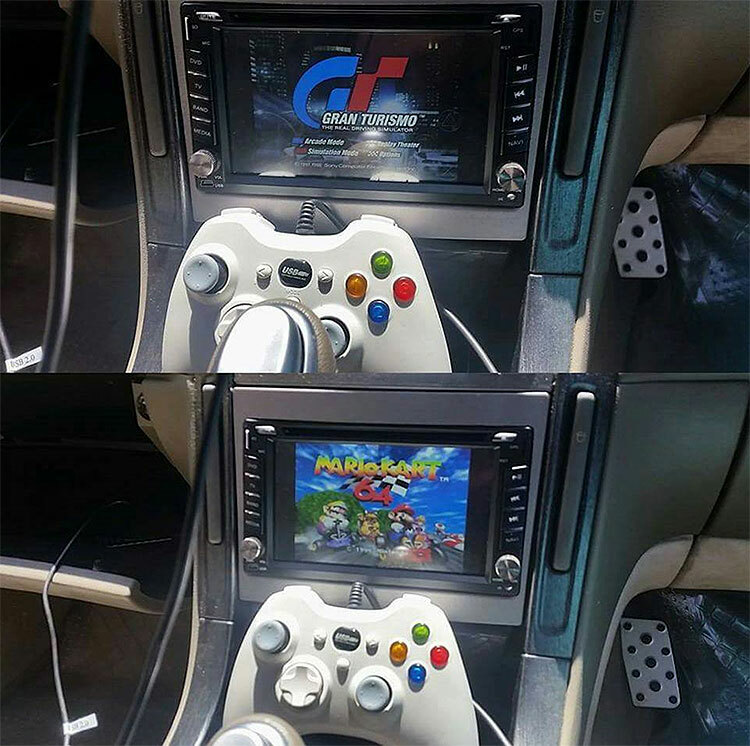 It would be awesome news that you can connect a controller with Eonon Android Car DVD Player via USB port as our fan Patrick Eid does like above picture shows! It's totally a mixture of fun & high-tech! By the way, you can still enjoy great offer and gift during our 14th anniversary! 200 pcs of camera A0119 and 200 sets of car sticker A0416 are all sent out. Now the last 200 pcs of FREE cameras available! Let's party this weekend!